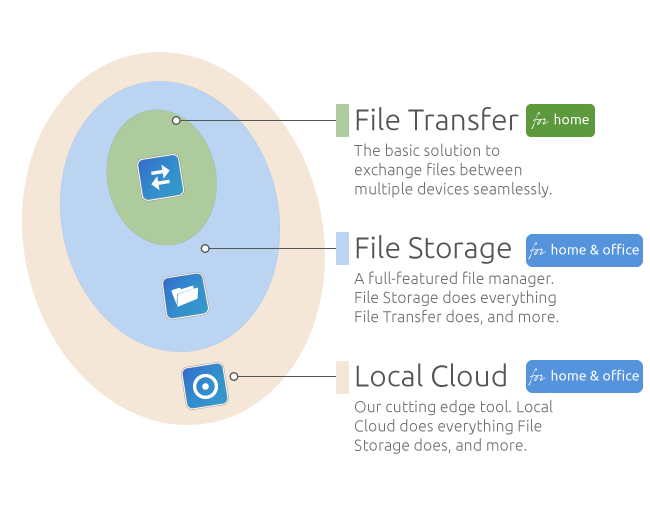 What are the differences between File Transfer, File Storage, and Local Cloud for iOS? We offer three apps for the storage and exchange of files on iPhones, iPads, and iPod Touches. Choose the one that fits you and your business. ‡ Limited and less powerful than File Storage and Local Cloud. ♦ Via the iTunes File Sharing.